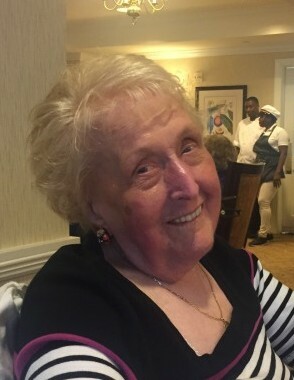 Amelia F. Pintauro (Wasilewski), passed away peacefully on April 15, 2018. Amelia was born in Bayonne and resided in Clark for 38 years before moving to Barnegat in 1999. She worked for Related Management Corp. for 15 years as a Coordinator Administrative Assistant, retiring in 1991. Beloved wife to the late Arthur Pintauro. Devoted mother of Patricia Pintauro Cupka, her husband Brian, and MaryAnn Pintauro. Cherished grandmother of Matthew Cupka, his wife Michele, Katherine Cupka, Elizabeth Fasullo and Nicholas Fasullo. Great-grandmother of Michaela Rose Cupka. Loving daughter of the late Zygmunt Wasilewski & late Marianna Cebelinski Wasilewski. She was the last surviving of 6 siblings. Visitation at the Leonardis Memorial Home 210 Ridgedale Ave. Florham Park on Wednesday from 6-8:30pm. Funeral on Thursday assembling at 9am followed by a mass at Holy Family Church in Florham Park at 10am. Interment at Holy Cross Cemetery in N. Arlington.